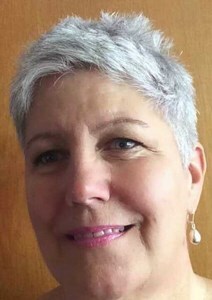 Newcomer Family Obituaries - Lisa A. Zook 1958 - 2019 - Newcomer Cremations, Funerals & Receptions. Lisa A. Zook, age 60, passed away while in the care of Hospice of Northwest Ohio on March 10, 2019. She had fought against a terminal cancer diagnosis for nearly 32 months, always striving for more time spent with friends and family. Lisa was born in La Mirada, CA on October 2, 1958, to William and Corrine Zook. Her father’s career took them from her birthplace on to Texas, Ontario Canada, Toledo OH, then on to Baltimore MD. She received a Bachelor of Fine Arts in Graphic Design & Illustration from the Maryland Institute College of Arts in 1980, after which she became a Technical Illustrator for Singer Link Simulator Systems in Silver Spring, MD. Lisa married Douglas Brenner in 1980, which lasted 25 years. They began a family in 1984 with the birth of her eldest son, Chris, followed by the 1987 birth of her youngest, Bill. After returning to Toledo, OH, she dedicated herself to creating a loving home in which to raise her two sons. Above all else, Lisa found great joy and support from family, friends, the local art societies, and cancer support groups. When not immersed in family matters, she cultivated her interest in oil painting, gardening, bird watching, riding her motorcycle, and road trips with her canine best-friend, Maggie. Her love for family and friends was matched only by her love for animals. Lisa is preceded in death by her parents, William and Corrine; and sister, Linda S. Zook. She is survived by her brother, Gregory L. (Jeannie) Zook, niece Julie and nephews Steven and Michael; son, Christopher A. (Patsy) Brenner, and grandchildren Shawntae and Jerace; son, William R. Brenner; niece Sarah C. Brenner, and nephew Brian J. Brenner. Her family would like to extend its deep appreciation for support from St. Andrew’s Episcopal Church, The Toledo Clinic, Hospice of Northwest Ohio, Comfort Keepers, Deb, Russ, & Matt Damschroder, Steven & Erica Mills, Marion Falcone & Carol Chiantis, the Papadimos family, Annie Thompson, Kathy Gast, the Schorsch family, Candy Leffler, and the several local and online Cancer Support Groups. You each gave her strength to live on through the disease to the end; thank you! A memorial service will be held for family and friends on March 30, 2019 at 2:00 PM, in St. Andrew’s Episcopal Church, 2770 Central Ave.
Add your memories to the guest book of Lisa Zook. I loved her smile. She was so friendly and positive. She is in a place of beauty and love with no pain and suffering. Thank you for being such a kind neighbor. I have a great video of Lisa I’d love to share. I’m not sure how to send it. I loved her smile. She was so friendly and positive. She is in a place of beauty and love with no pain and suffering. Thank you for being such a kind neighbor. Please enjoy this video?? Lisa and I met in Severna Park, MD. while carpooling with another friend to Maryland Institute College of Art. We had many crazy, zany times. We have kept in touch off and on over the years. Lisa and her family have been in my thoughts and prayers since her cancer journey began. Godspeed my friend.